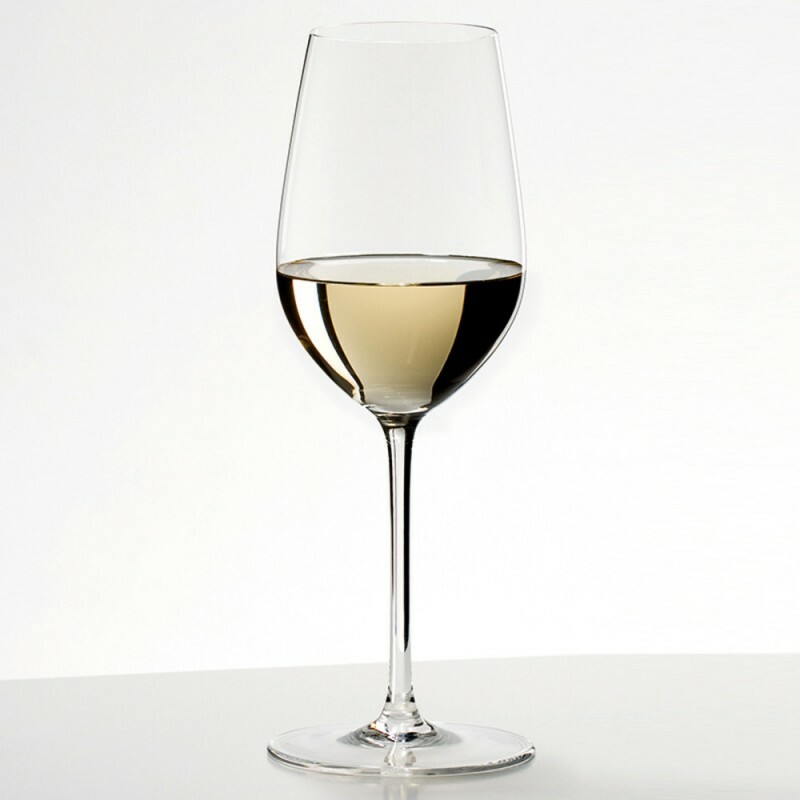 Riedel Sommeliers Riesling (P/N 4400/15). 8-7/8" tall, with a maximum capacity of 13.4 oz. for an average serving size of just over 4 oz. Weighs 10 oz.—just enough to optimize stability and still feel great to lift.